“Art for the Park” Calendars for sale! 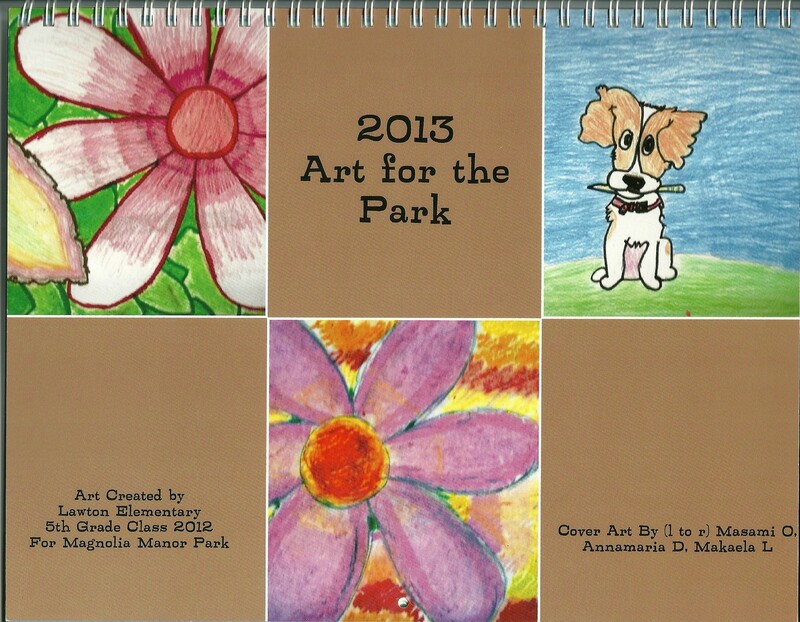 Please order your 2013 “Art for the Park” calendar by Wednesday, November 28th to ensure delivery before the holidays! These calendars will make great gifts for anyone! Family, friends, co-workers, you name it! Art work created by the Lawton Elementary School 5th grade class of 2012. Calendars are $20 each and all proceeds will benefit Magnolia Manor Park. Please contact LuAnn Mitchell to place your order. If paying by check, please make payable to FMMP (Friends of Magnolia Manor Park). Friends of Magnolia Manor Park (“FMMP”) is pleased to announce a Grand Opening Celebration for the Magnolia Manor Park Off-Leash Area on Sunday, November 18, 2012 at 1 pm. Festivities will take place in Magnolia Manor Park, 3500 28th Avenue West. Ribbon cutting at 1:30 pm. 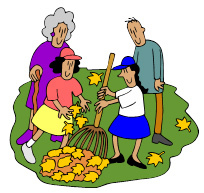 There will be a Work Party on Saturday, November 17th at 10 am (rain or shine!) at Magnolia Manor Park Off–Leash Area, 3500 28th Avenue West, to install some of the border plants and the poop bag stations (no, there’s just no ‘genteel’ way to say it), and to install a mock-up of the Lawton 2012 5th Graders’ Art Fence project. Whoo-hoo! Our long process is finally coming to a close. Or rather, an Opening! 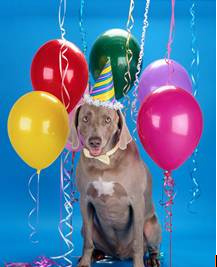 We are pleased to announce a Grand Opening Celebration for the Magnolia Manor Park Off-Leash Area on Sunday, November 18, 2012 at 1 pm. Festivities will take place in Magnolia Manor Park, 3500 28th Avenue West. Ribbon cutting at 1:30 pm. We hope you’ve all been pleasantly surprised by all the progress these last few weeks. The chips are down (and that’s a good thing…), as is the gravel, the water line is being installed and the OLA fence should begin installation after November 1st. Seattle Parks Dept. (“Parks”) is bringing in soil amendments for the North border, and along with FMMP, consulting with the neighbors on the border plantings for the OLA, and P Patch. Once the OLA fence is completely installed and Seattle Conservation Corps (“SCC”) has cleaned up the work site, Parks will arrange for the exterior fence along 28th Avenue West to be removed, and the park will re-open. That will probably take place between November 9th and November 17th. Both Seattle Parks and Friends of Magnolia Manor P (“FMMP”) are committed to the idea that the park should be closed for no longer than necessary for construction and that includes the OLA. So, yes, if it’s ready before the 18th, the OLA WILL be open for business. Just like any new business, though, some things take time. Parks will provide a kiosk, a tool box and signage, but they may not be in place in time for the opening. The water also may not be completely hooked up for a few weeks. Rest assured–they are coming! There will be a Work Party on Saturday, November 17th at 10 am (rain or shine!) to install some of the border plants and the poop bag stations (no, there’s just no ‘genteel’ way to say it), and to install a mock-up of the Lawton 2012 5th Graders’ Art Fence project. Installation of the rest of the plants and trees, and the Art Fence, will take place over the next several months, as time, weather (and donations) allow. There will be another celebration with the Lawton 2012 5th Graders’ and their families once the installation of the Art Fence is scheduled. Along with the OLA opening, the Magnolia P Patch is taking shape. By the 18th, the security fencing will have been moved and rough grading in the P Patch area done. It may be possible to tour the area of the future P Patch at the Grand Opening—we’ll have to see. The grand opening celebration for the P Patch will take place next spring. Please mark your calendars for the Work Party at 10 am on November 17th and for the Grand Opening at 1 pm on November 18th, and come say “Thank You” to all of our great sponsors and donors! Without them, MMP OLA would not have happened.